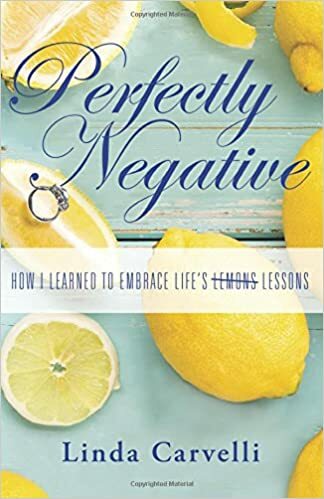 SUMMARY: Perfectly Negative: How I Learned to Embrace Life’s Lemons/Lessons is an inspirational story of love, loss, and resilience. As spring approached, Linda focused on beginning her first marriage until she received the devastating news of her mother’s terminal illness. No one could have anticipated the avalanche of tragedy that filled the next ten years. What surprised Linda the most was that when she eventually reflected on that most painful decade of her life, she realized how each tragedy gave her more courage and strength to face the next one. Perfectly Negative introduces a cast of real, relatable characters who will have you crying, laughing, and ultimately rejoicing in Linda’s triumph and determination to make sense of the overwhelming heartbreak she endured. This insightful memoir reveals nuggets of wisdom to reassure you as you face your own life lemons lessons. THE BACK STORY: I am a 14 year breast cancer survivor and lost my mom, sister and dad to cancer. When my sister died in 2005, I started to journal more frequently and started taking writing classes. In 2011, I had the first real cancer recurrence scare and then one week later I lost my 14 year senior level position as a technology project manager in Corporate America. I started to believe that all the negative events over the past 14 years had happened for a reason and that I was meant to survive so I could spread a message of hope after tragedy. I became a full-time writer, hired a writing coach/editor/book architect and set a goal to publish my memoir. WHY THIS TITLE: Perfectly Negative are the words my oncologist used when he gave us the results of my first PET scan just one week before I lost my job. Perfectly Negative also refers to the fact that even the most negative events in my life are positive, or perfect, in that they reveal lesson…always a message or a reminder for me to move forward in my life with courage. WHY SOMEONE WOULD WANT TO READ IT: For inspiration; to help put life in perspective; for someone who is facing any life challenge (medical diagnosis, divorce, death, etc. ), to read that I survived through all of those challenges in a ten year period, offers hope and motivation. REVIEW COMMENTS: Honestly, best to read directly on Amazon.com. I am blown away by the impact of my experiences/words. 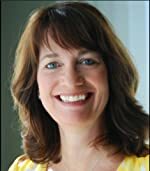 AUTHOR PROFILE: Linda is a certified life coach helping people regain control of their lives, discover a new perspective, create possibilities, and move forward with confidence, courage, and purpose. She is a breast cancer survivor who co-facilitates Sisters in Survival, a support group for cancer survivors and their caregivers. She enjoys making and drinking wine, exploring Italy, playing number or word games with anyone who dares take her on, and napping. She lives in Rhode Island with her husband, two step-teens, and Enzo Vino, the family dog who follows Linda everywhere. LOCAL OUTLETS: RI Bookstores: Barrington Books, Barrington Books Retold, Books on the Square, Brown University Bookstore, Wakefield Books.